I have enabled my blowback but the cocking handle keeps stopping in wrong place now and then, any ideas?? The position is linked to the spring. So when you fire (mainly happens on semi AFAIK), and it stops halfway etc, the gearbox hasn't fully cycled. This happens on ALL AEGS, but not noticeable except on the EBB G36. If it does matter, a decent mosfet and few internal upgrades (motor, etc) can be set up right to allow full cycles properly. Thanks, probably just disable again as i have heard that blowback could break gear box ?!?!? My bro in law is setting one up with two other people, not up and running fully yet but im lucky enough to go up there helping with bits around and a few games. Am i allowed to post link on here as they have a web site? it is where i play with .co.uk on end if not! My Umarex G36V has been 8 months fine with the blowback on. Did have a KV that had problems but that wasn't due to the blowback. 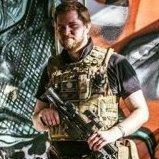 Links are allowed, we're all about free airsoft related information, feel free to post a link. Don't go berserk posting the same link in loads of different threads though. Pretty much the same. Nice range and accuracy. Pretty reliable, although a lose wire made it catch fire Fixed though. Didnt have the KV long enough to really compare though. i'd say little extra range from the KV (only like 5m though). Groupings not noticeably different. Both good guns, but having the MP7 that i could already put stuff on rails (had a TM rail handguard on my KV), i went for the G36. Really the only thing that made me decide. Any ideas on what fittings i can put on rail (if thats whats you can call it)? slide on hand grips wont go on as the runners are sealed at ends if that makes sense and grasp ones dont fit either as there are no grooves to accomadate them??? What issues did you have with the kv? Was it same make as mine? yeah it was the same. it was one of the first batch though so the odd one was expected. Store has sold a fair amount of the umarex G36 series and mine was the only one with fatal flaws. I fitted a new TM front end to it. Do have it spare atm but another guy on the forum has asked to buy it. Will drop him a message. I have said he can have it but If he can't get the cash together soon i can let it go. Maybe a mosfet would help bring the charging handle to the correct position? Im just looking into them to see if they can give my single shot a snappy response....also I know very little about this so I could be on the wrong track!!! It would do, but it seems an expensive way to stop the charging handle looking wierd. Yeah it would improve trigger response etc as well. I'm just leaving my G36 pretty stock. Works fine as it is. Does have a tightbore barrel but thats it. Don't want to be chucking £100+ (high torque motor + high end mosfet + lipos) into it when all you're getting back is a few milliseconds improvement in response, and a full cycle.